ADC car body repairs Birmingham has a long history of maintaining standards for every car that we repair. All of our technicians are well trained to keep industry standards to deliver the highest quality repair for car owners in Birmingham area. Please have a look below to see the services we offer. Alternatively we can and are more than happy to discuss your car body repair requirement at our garage in Birmingham. This process could also be done over the phone or by your personal visit to the company or via emails. You can easily find the contact us by filling the form in contact us page. ADC car body repairs in Birmingham has auto technicians who have the knowledge and requireed skills to fix vehicle bodies and other various parts. Some parts of the vehicles can still be used even after huge collisions. Therefore, It is always wise to come to adc car body repairs in Birmingham to repair your demaged vehicle. We repair all types of vehicles including cars, vans, trucks, buses and all other reconditioned vehicles. Our technicians posses manual skills, such as ability to identify the fault, align structural components, replace exterior panels and performing various types of car body welding and car body repairs and finishing. It is the time to fell in love with your car again. Let ADC car body repairs to take care of your weathered vehicle and transform it with a new coat of paint. Come and see the difference in ADC car repairs in Birmingham and you will be driving your car again the way you always wanted and you will love it. There is a reason why ADC car repairs is so popular in Birmingham.ADC auto body repairs takes pride in the work that we perform and put our extremely best effort in every body repair and back it up with our car body repair programs. Therefore, with all those auto body repair services and guarantees, no wonder ADC auto body repairs has become the first choice for auto body repair in Birmingham. Do your car scratches and small dents make you worry? Then come to ADC car body respray in Birmingham. Our well trained painting technicians will use the updated methods to eliminate those scratches and dents and will make your car look smooth and glossy. Full Car Body Respray- First we peel and remove the existing paint, undercoat and colour and then we apply the colour you want according to your requirment. 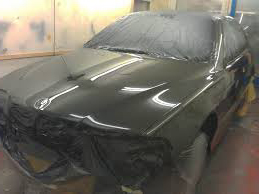 Half Car Body Respray- In this service we respray just the lower, upper, front or rear half of the car. Most common uses of this are for for full body kit installation. and we offer that service as well. Scuffs,Scratches and Panel car respray - On here we offer minor resprays for bumpers, scuffs, dents or chips etc.. Car respraying and painting is one of the best services that we provide in our car body repairs in Birmingham. For those who have been in accident or have damage on their cars need proper car resprayiing and painting to get modern look for their cars. When you need to resale your vehicle, you will have to repair all your car paint scratches. At ADC car body repairs Birmingham, we supply an exclusive service on car paint repair Birmingham. We are one of the leading car paint repair in Birmingham. According to the requirements of our customers, we have little discounts on car paint repair to provide you an affordable service. We have been in car paint and dent repair for about 15 years.We strongly believe the satisfaction of our customers. Therefore, we aim to provide quick and convenient car paint repair service to our customers.You will be surprise to see our affordable car paint repair service. At a fraction of cost, we provide professional colour matching to get the brand new look. During the process of car paint repair, we always try to match original manufacture's colour code specification. Colours should also be matched to get the best look for the vehicle. We will advice you in the process of colour selection for your car before respraying your car. If you left those scratches untreated it will ruin your car paint and the look of your car. Therefore, visit ADC auto repair and get your respray painting estimation from ADC car body repair qualified technician. We will give you an affordable price and promise the durability of the paint. ADC car body repair and respraying team will ensure you that your car will hold the everlasting gloss and shine. ADC auto repair always advice our customers to look after their cars after re-spay by doing following important regular after care. And this will affect hugely on the appearance and durability of respray. Make sure to park your car in a shed and avoid parking under or near trees. Washing your car regularly has a huge impact to remove the unwanted contaminations to damage your finished re-spay car surface. ADC auto repair recommends our clients to wax their respray car every 3 to 4 months. This will help to protect your new car paint to stay for years to come as a great respray deserve a great protection. There is no reason to let your car paint to get ruin when ADC car body repairs is around the corner to lend their hands to protect shinny colour and the glossy paint of your loving car. So, why do you wait? Please visit ADC auto repairs in Birmingham to get a quality service to have a full car spray in Birmingham soon as possible. ADC car body repairs glad to say that we the best respraying and painting garage in the Birmingham area and we have proved that over the last dozens of years. Repairing a dent in the body of a car meant a lot of bother until rececently: filling, grinding, applying primer, grinding again, painting, polishing. This meant a lot of repair work for a small pressure point. But the repair process can now be shortened considerably in many cases. A prerequisite for using the new method is an intact paint layer. The paint in the area of the dent must not be too scratched or even chipped. Paintless dent removal also referred to as PDR, is a highly skilled process that repairs car body dents, dings and creases without harming a vehicles factory paint or creating the costly and time consuming need for traditional body shop repair. 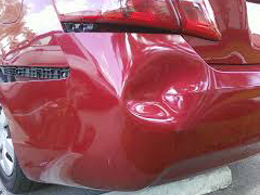 PRD is considered as the most quick and cost effective car dent removal method. As the name suggests, car dent repair is done with filling and painting or sometimes costly complete panel replacement. Our specialists remove small dents by using a method that 'massages' the dents out of the damaged area, restoring the panel so that it appears as good as new. Paintless dent removal is the best way to remove small dent and dings where the pain had not broken. At ADC car dent repair service, we can make your car look like brand new under in an hour at a fraction of the cost. Thanks to our quality paintless dent repair service in Birmingham, a dent or scratch in your vehicle doesn't have to put a dent in your wallet. Our cost effective dent repair methods mean that you will make a huge saving over conventional car body dent repair. Our skilled micro repair specialists can buff out scuffs and scratches, and utilize a plastic welding technique for cracked bumpers that leaves the bumper smooth and crack-free. If you have paint chips caused by flying rocks or a door dent, our service will revitalize your existing paint finish and inhibit rusting and corrosion. It does not matter how attentive you are, scuffs and scratches will be able to find their way to ruin the pain and the beautiful look of your car. But, if that happens, there is always to clear it off. That is why; ADC auto body repair is around the corner always waiting to help you. ADC auto repair qualified professionals can provide you a latest techniques and the better quality service in order to get rid of your worries about your loving vehicle. ADC auto repair technicians will always pay attention to every single detail when it comes to fixing scuffs and scratches in your car. And they will be very careful to match the right colour to give a professional quality appearance to your vehicle. 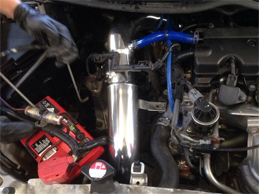 In order to provide a quality customer service and customer satisfaction, ADC auto repair well trained staff will ensure to go above and beyond clients expectations to fix the imperfections. And we use the quality car care product to repair your car whether it is a small scratch or a complete bumper replacement.ADC auto repair always take a great responsibility to blend the existing colour and the new paint. All those qualities which ADC auto repair has performed all those years has led ADC auto repair to become the most popular auto repair company in Birmingham. All of these types of repair can be completed at a fraction of the cost of conventional body repair, and can often save you a claim on your auto insurance.